It's Spring Break for me and the minnies and I have been enjoying our vacation in Williamsburg. Today, I'll join the Pink and Green Thursday fun by sharing some pretty things I've seen in green this week. In the Palace, there is a gorgeous green room. When our interpreter said, well, this room is really green, I was really excited. The shade of the pain instantly brightens the room and is gorgeous agains the white detail. Green seems to be a popular color for textiles, too. I love seeing people in colonial costume, although I am sure that they must have been so hot during the humid Virginia summers! As I mentioned to you earlier, this week is Garden Week in Williamsburg and the city's gardens are stunning. 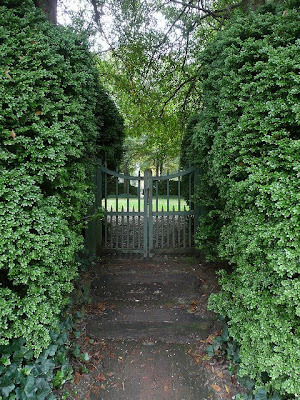 But one of my minnies favorites was the maze of hedges in the Palace garden. 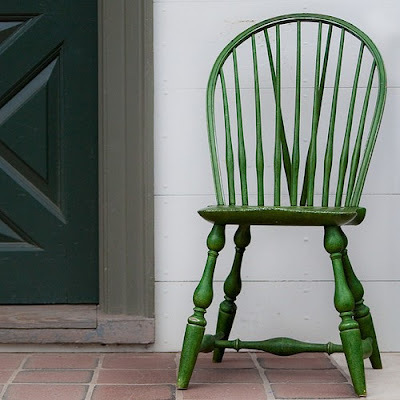 A green chair outside of the Wigmaker's shop is both colorful and useful. In Jamestown, we learned that early settlers used the sand to try to make glass, but that they were disappointed when the glass was green instead of transparent. The green shade is due to the high iron content in the sand. 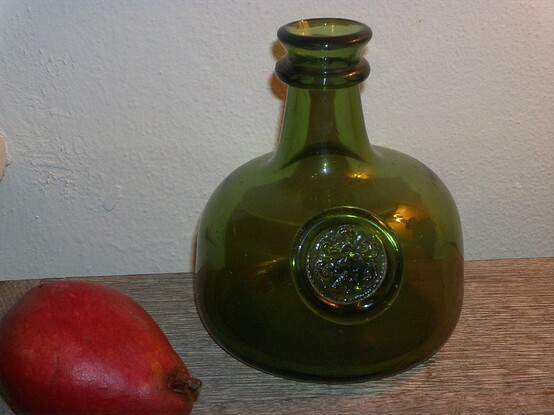 Although it wouldn't be good for windows in a home, it's certainly pretty and green glass has value for apothecary jars and wine bottles! These chinoiserie chairs look like bamboo. The Chinese influence is very evident in the decoration, textiles, and furniture of many Colonial Williamsburg homes. 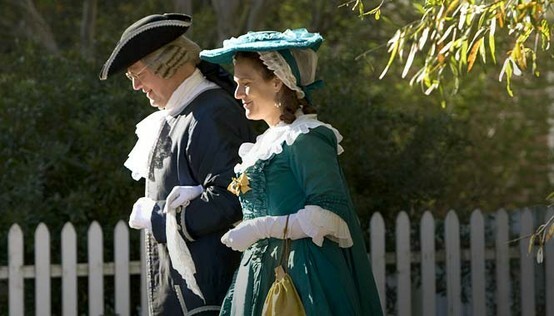 I highly recommend a visit to Williamsburg, Virginia. The minnies are learning about the American Revolution in school this year and loved the "living history" in Williamsburg. Love the greens! I hope you all are having a great time! I love the Jamestown Glasshouse! When I lived in Richmond I would often drive out 64 to visit and pick up some green glass vases. It looks like you girls are having a fantastic time! 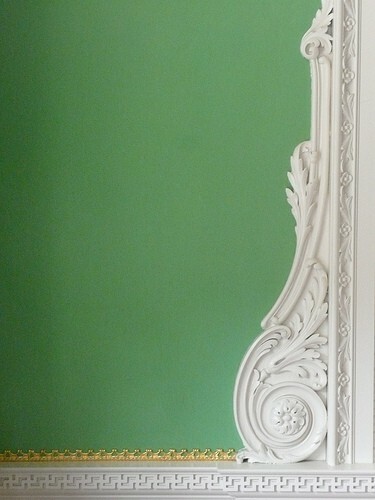 Love this shade of green! The different chairs you've featured are fabulous! I love the chair outside the wigmaker's shop and the chinoiserie chairs, as well! I'm from Virginia and have been to Williamsburg and Jamestown so many times, it's always a fun trip! Williamsburg is one of my favorite places. I've been enjoying your posts about the "Burg". I love the green items you found around Williamsburg. I hope to visit there one day. Not sure why we didn't when we lived in VA.